Hmmmm. 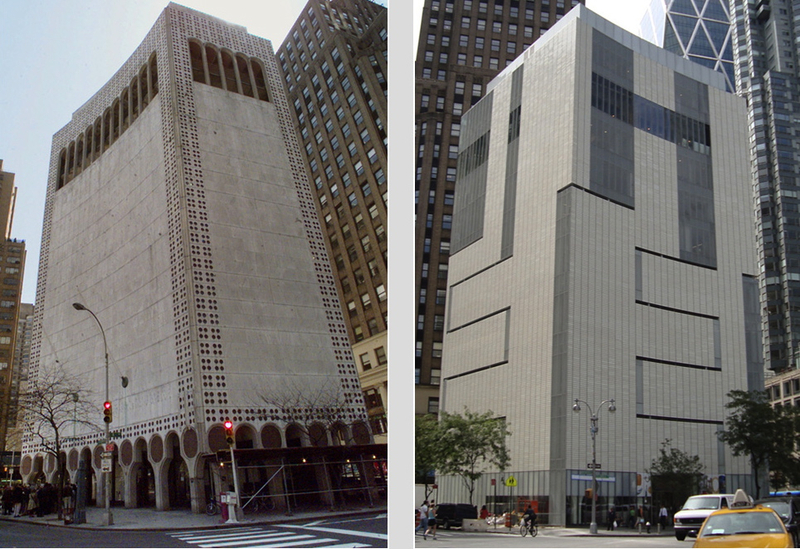 I'm probably in the minority here, but I actually like the "boring brutalist box" better. The new version is a hot mess. 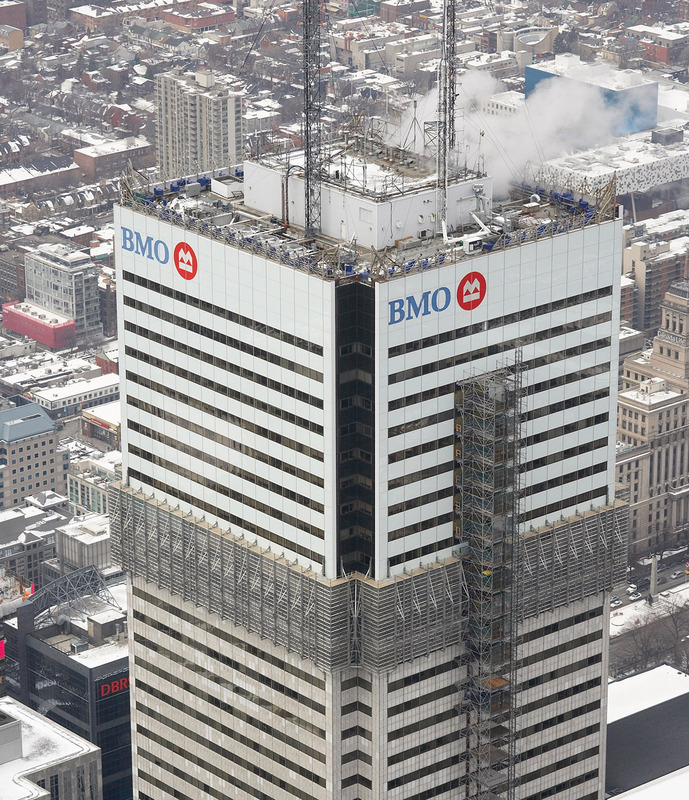 I really like First Canadian Place too. 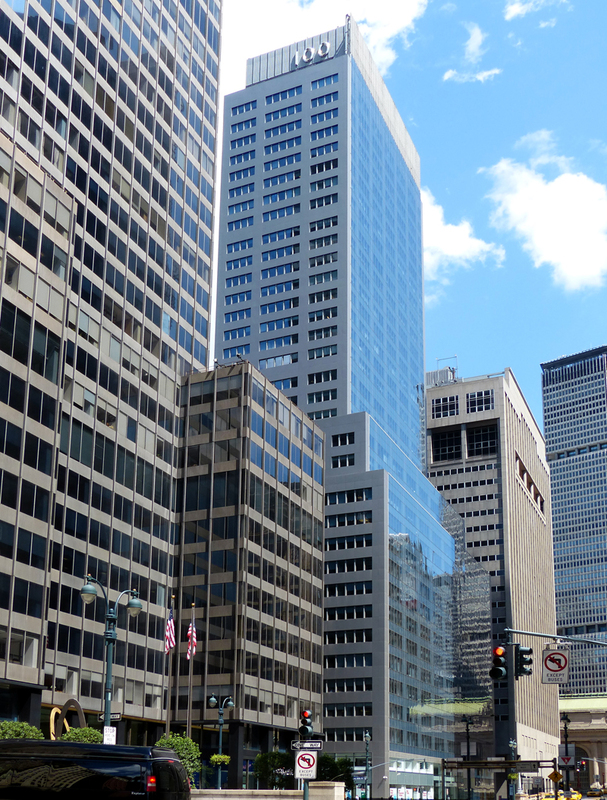 For best reno, I'd have to nominate 100 Park Avenue. You would never know that it's a 70 year old building by its looks! I wouldn't say it's replacement is any architectural masterpiece but compared to the previous version, it's a massive improvement. If no one liked brutalism it would never have existed, I just have never understood how anyone could like buildings that are devoid of any features, ornamentation or imagination, brutalism just seems like the laziest and most uninteresting design imaginable. Yeah, I've never liked buildings that wear hats. Wow. When I see the before, I have a hard time imagining why anyone would think that needs to be remodeled. 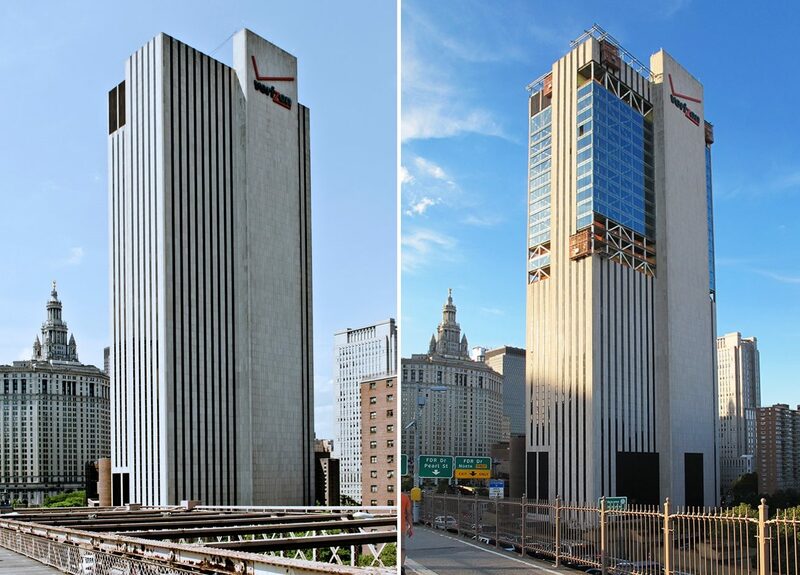 When I see the after, I see a boring, bland office building. Whoever did this might as well have just stacked up millions of dollars of cash into a pile and lit it on fire. It's sad. 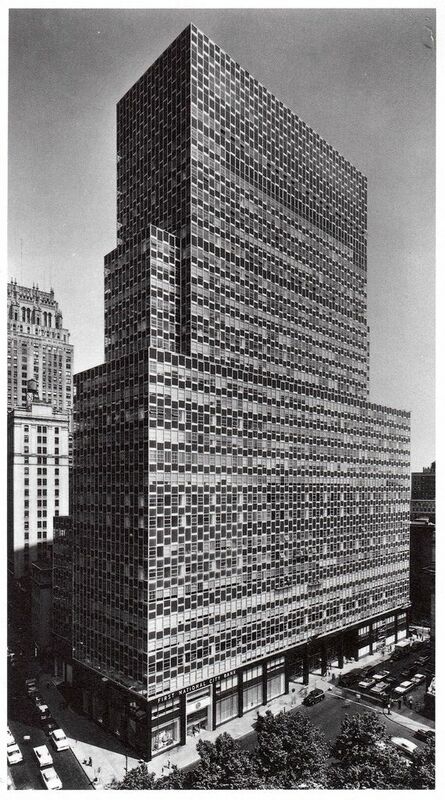 ^I think part of the problem with 100 Park Avenue's facade was what it was made of- brick. Over time, many of those facades didn't age well and developed maintenance problems, which were probably getting expensive to deal with, so something needed to be done. 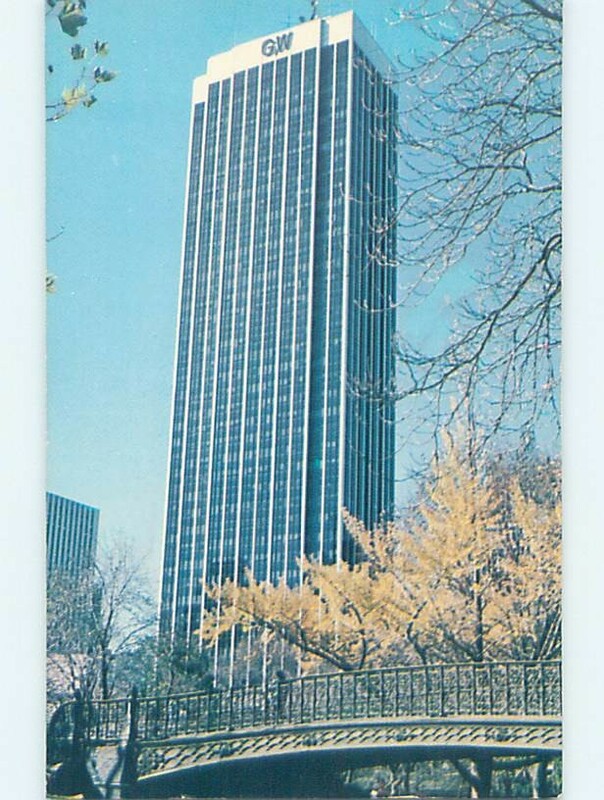 Remember what 425 Park Avenue used to look like, same architects and same time period. Is that the old PSCo building? That Kennecott bilding looks awful IMO...it looks suburban just by it's generic façade and lazy attempt of masonry. That Park Avenue project is pretty brutal as well. Looks kind of like a robot instead of a respectable skyscraper. Not sure what's going on in that Denver render.....it look worse than it's current rendition by some measure. Ummmm, I have no idea. Interesting. I have such a hard time understanding how anyone could like the first one better. I almost feel like you're playing devil's advocate here. The first one looks hideous to me. It's interesting how no one can agree on these "improvements." I almost feel like complete remodels on old buildings should just never be done, because the end result almost always ends up looking like an awkward compromise -- even if it is an improvement -- plus you just can't predict how people are going to feel about it decades in the future. I think I might be leaning towards the original version on this one. Neither one is particularly attractive though. I feel like most people have a hard time seeing that right now, but in another 20 or 30 years they will. 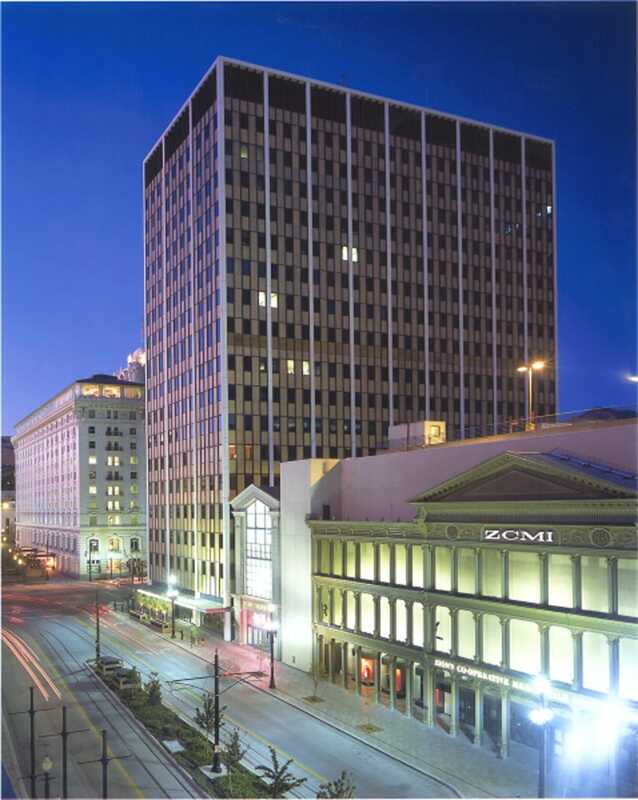 2 Broadway | Completed in 1958 and remodeled in 1999. 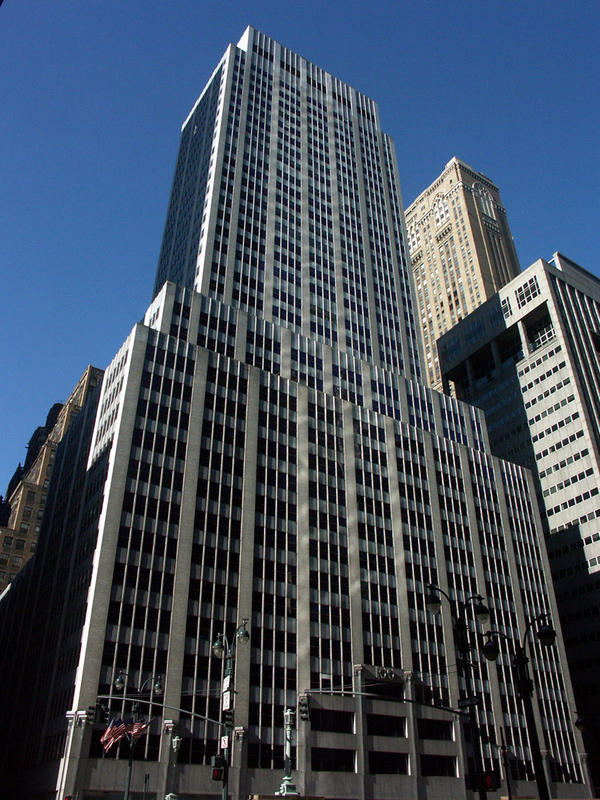 Salesforce Tower | Completed in 1974 as the headquarters for New York Telephone, remodeled in 2007. Trump International Hotel & Tower | Completed in 1970 as the Gulf + Western Building, remodeled in 1997 into a luxury hotel and condominiums. 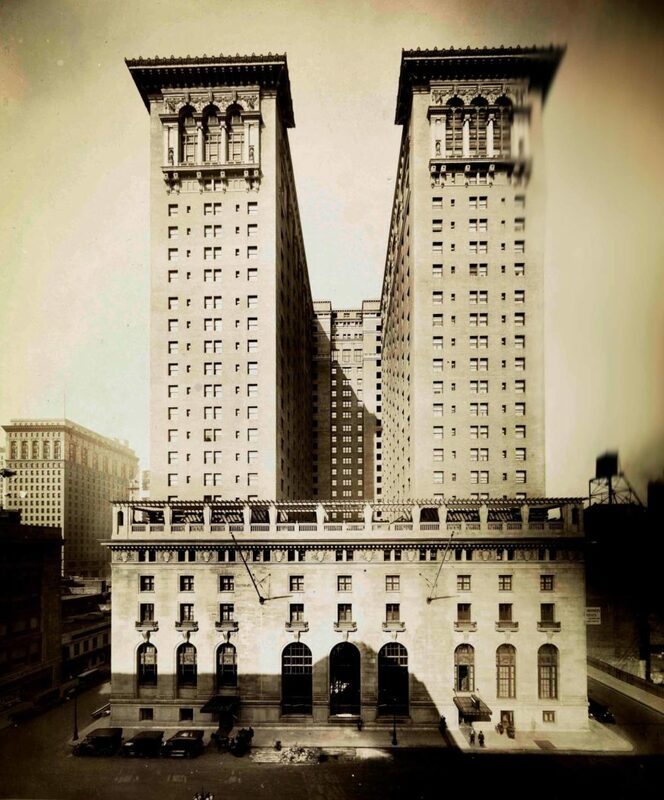 52 Broadway | Completed in 1898 and sadly remodeled in 1982 with 8 additional floors. 1 Times Square | Completed in 1904 as the headquarters for the New York Times, remodeled in 1963 into the Allied Chemical Tower. 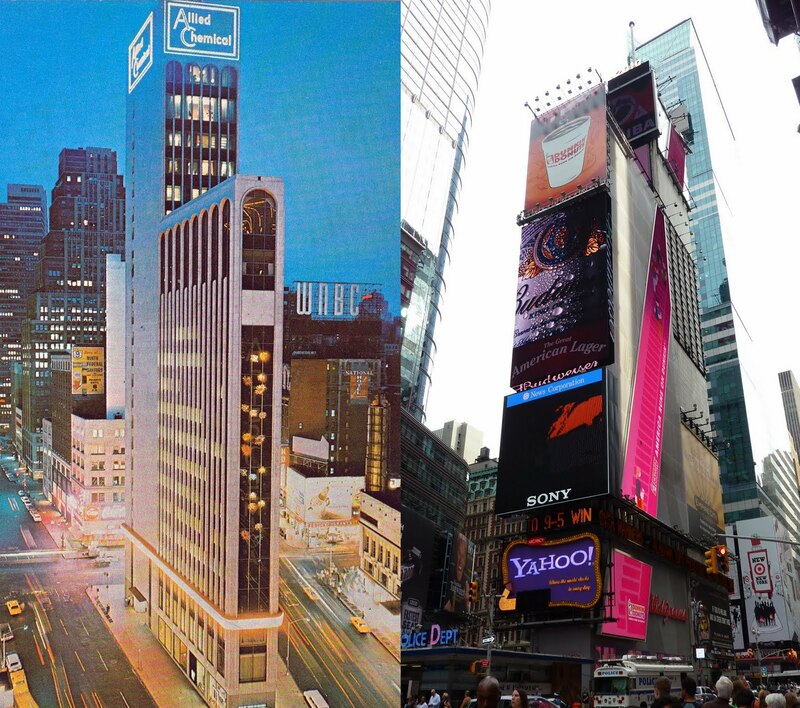 Since 1995 it has covered with billboards as the owners felt the building would be more profitable as a giant billboard due to the tiny floor plates. 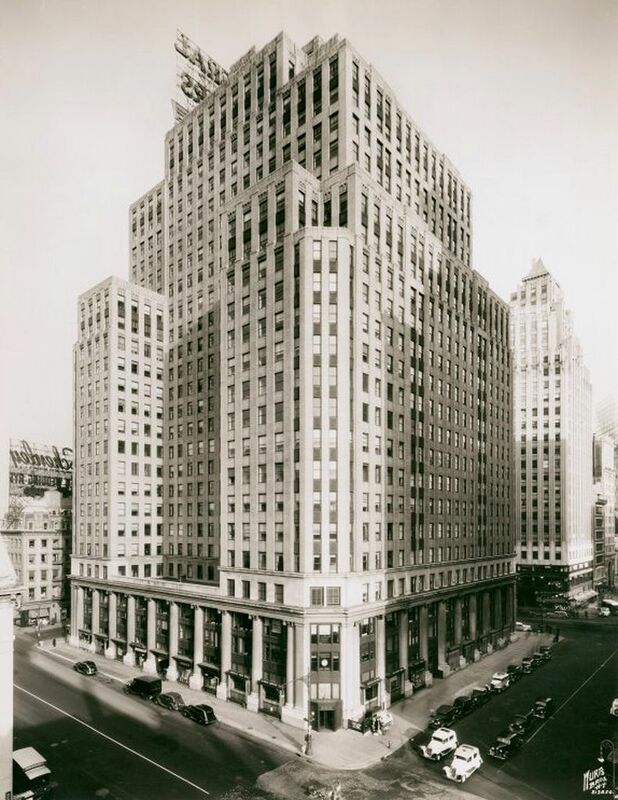 335 Madison Avenue | Completed in 1913 as the Biltmore Hotel and remodeled into an office building in 1981. 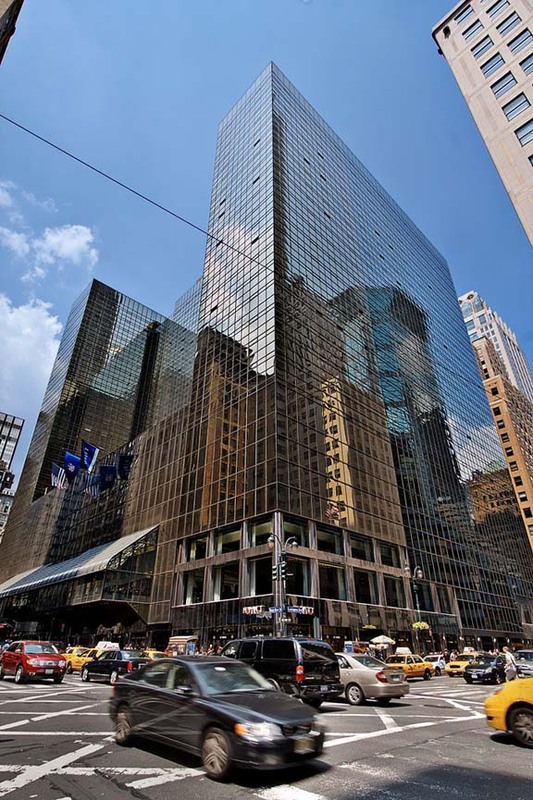 3 Columbus Circle | Completed in 1928 as the Columbus Tower, remodeled in 2005 into 3 Columbus Circle. 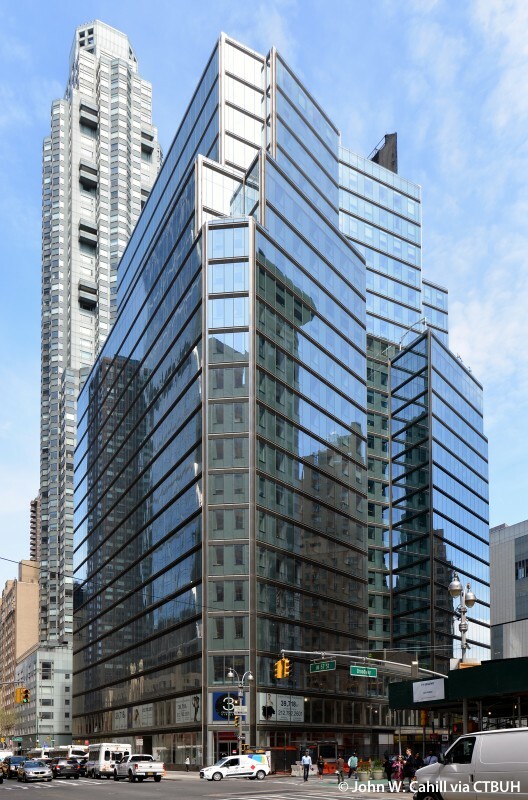 2 Columbus Circle | Completed in 1964 and remodeled in 2005. Grand Hyatt New York | Completed in 1919 as The Commodore Hotel, remodeled in 1980 by Donald Trump. The building has been proposed for demolition earlier this year. Last edited by Patrick; Apr 11, 2019 at 8:52 PM. 2 broadway looked better than before, its facade was quirky and interesting. Now it just looks really generic. Same with 2 Columbus Circle.